I love a mechanical keyboard, so when Razer offered to send me two to compare, I jumped at the chance. 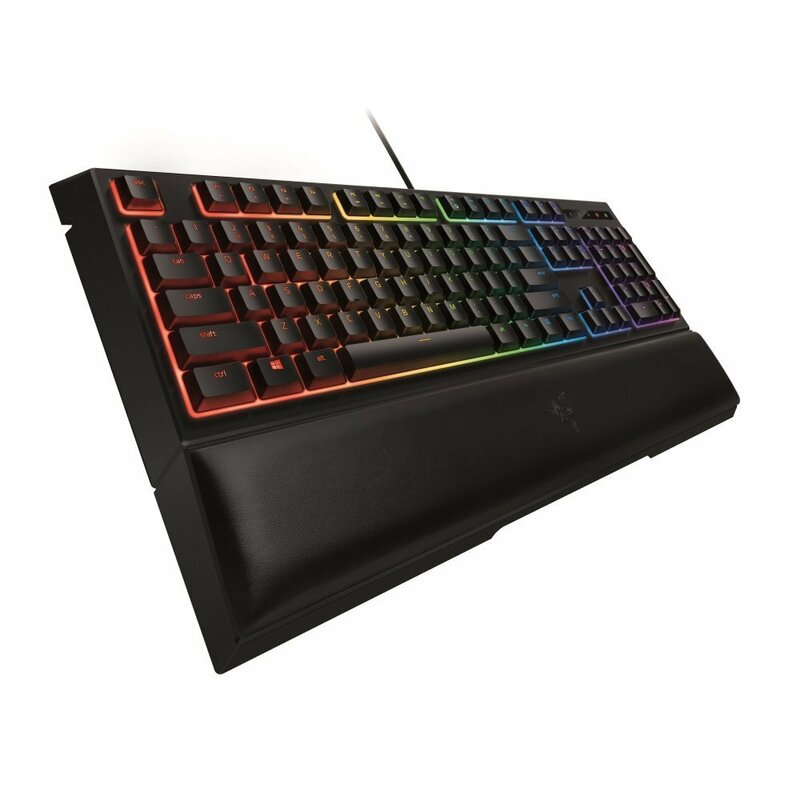 The Ornata Chroma is a membrane keyboard which comes in at under £100, while the BlackWidow X Chrome comes in at just under £150. I was really interested in the mecha-membrane technology they used on this keyboard. 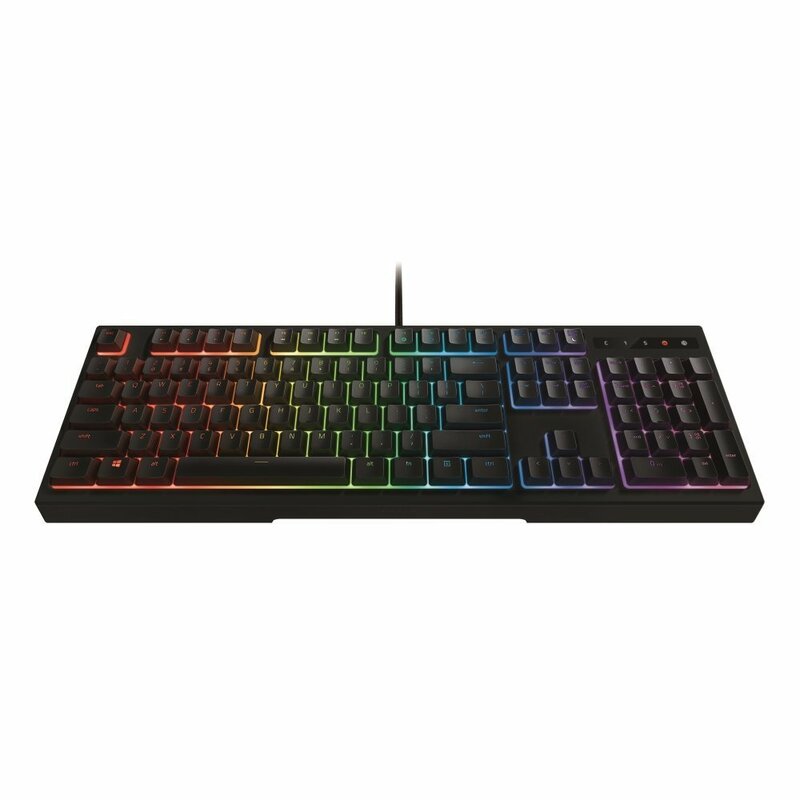 This supposedly gives the keys a longer life and also low-profile typing, though as this is still a mechanical keyboard, I get my taps when I type. I found this keyboard very satisfying to use. They travel time for each key was less, and they was a very nice loud tap each time I pressed down. I am also in love with the included padded wrist rest. They use a leather material on it, and it’s incredibly comfortable to use. It uses the magic of magnets to stay connected to the keyboard, so it doesn’t come off easily. As this is a smaller keyboard, they are no dedicated media keys. The function keys along the top are multi purpose and can be used to control media and turn on game mode. The game mode is pretty standard and really just disables the windows key. 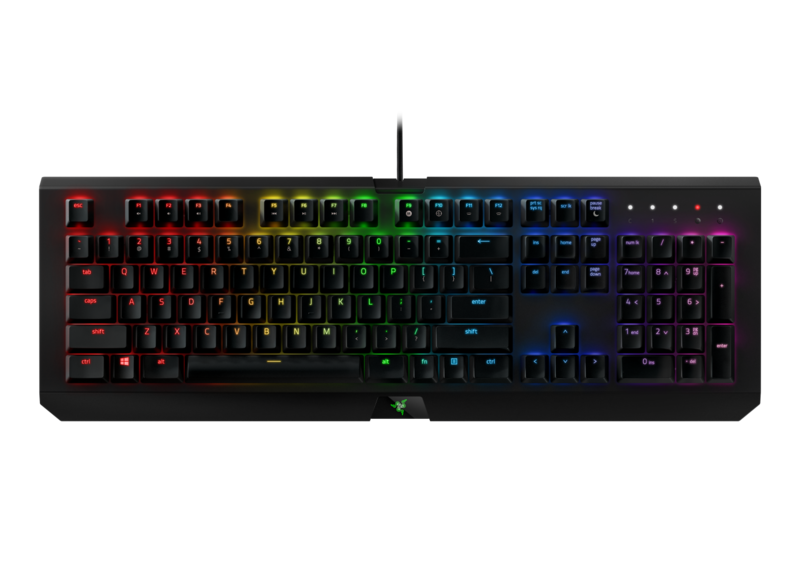 The tech Razer uses called Chroma, allows for 16.8 million color combinations. These are all controlled through a program called Synapse, which can also be used for macro keys and setting up some excellent light shows. This isn’t a feature rich keyboard, they aren’t any USB ports, or media keys, or even macro keys. But that’s not the point, its a small, compact fully functioning keyboard. The keys work incredibly well and don’t allow for a lot of miss-types. The colour system is epic, and contains hours of fun setting up. This will set you back £99.95, which isn’t too bad in my eyes. The rest is excellent and I have used it primarily for typing and it works perfectly! 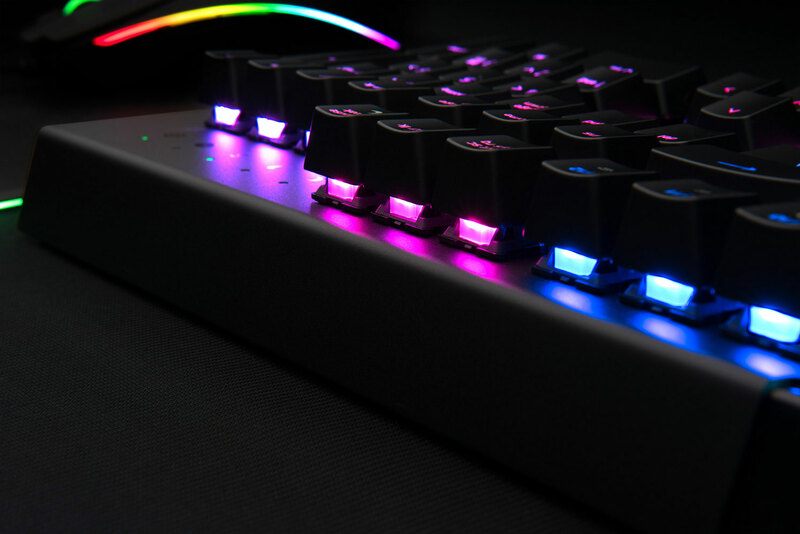 I was actually suprised by the simplistic design of the BlackWidow X Chroma, I was ready for something out of Alien or Transformers, but Razer really pulled it back on this one. 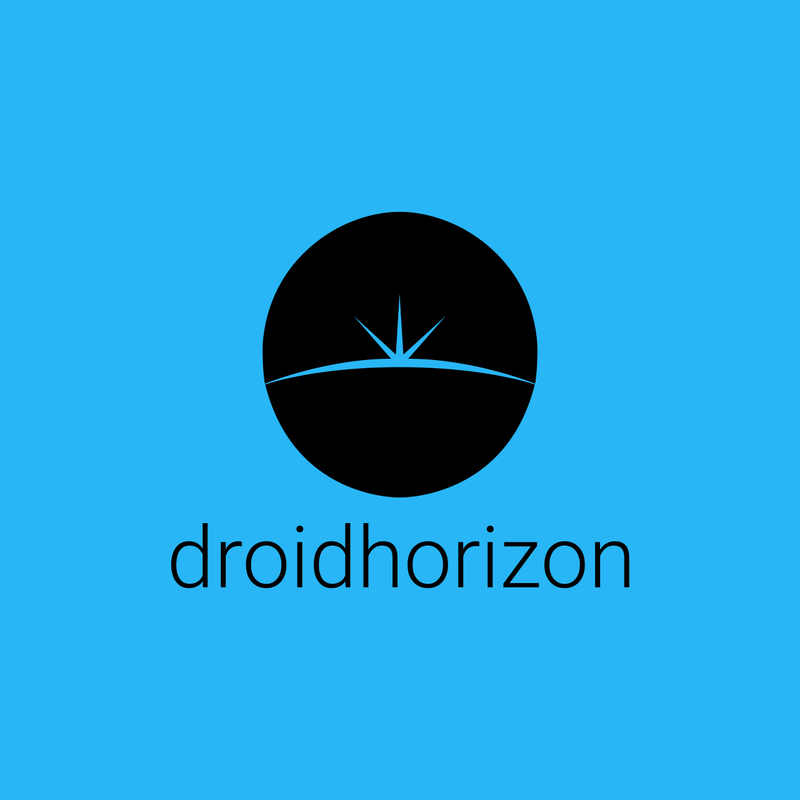 The design is simple and sleek, while still rocking that chroma light system. Everything from the overall look, to the keycaps have been reigned in, and have a very professional look to them. This is a keyboard for a more experienced gamer, who doesn’t want the big brash metal casing, just a good keyboard. 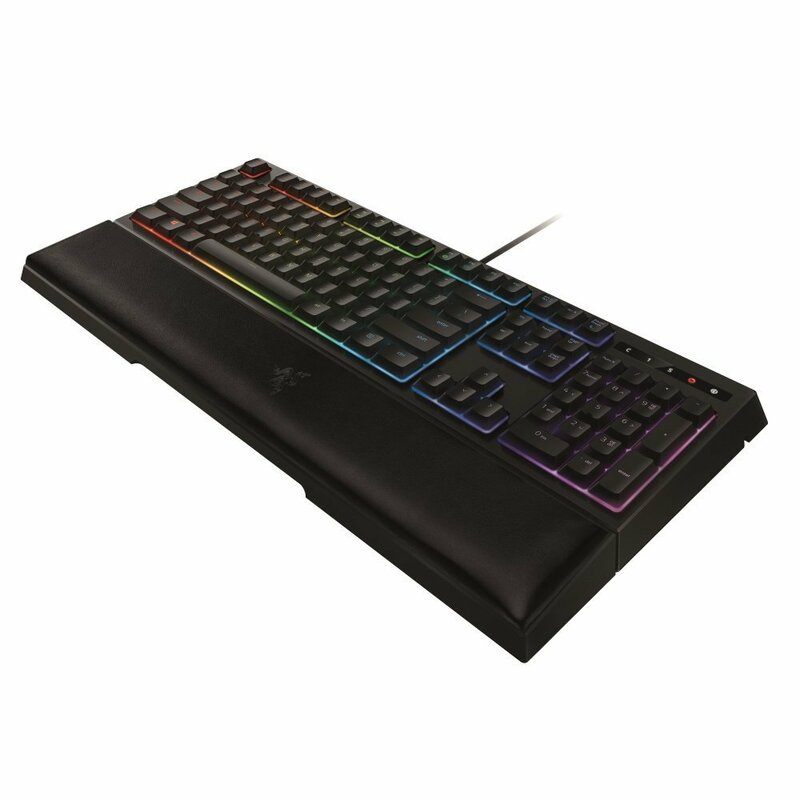 Though this is 100% aimed at the gaming community, Razer have removed the macro column from this keyboard. Though you can still program macros using the included software, they have chosen to reduce the size of the keyboard. They have also removed the media keys, which I am happy with as I am not one for media keys on keyboards. 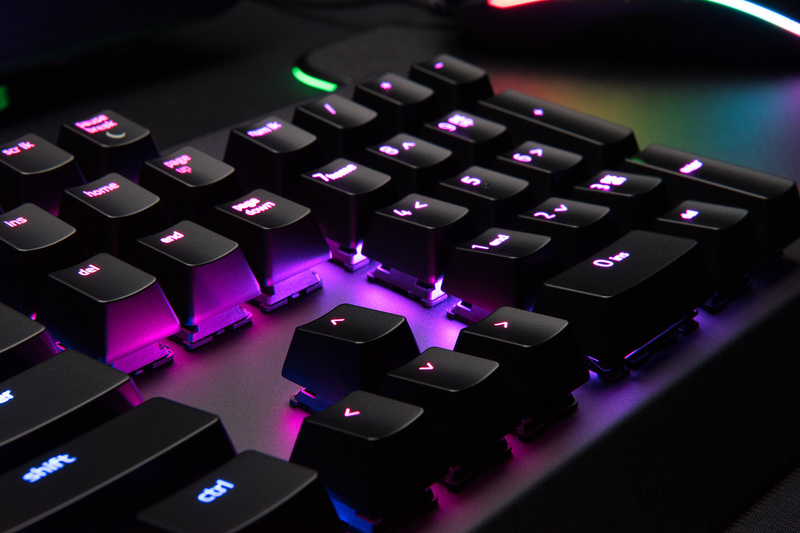 The BlackWidow uses Razers green-switches, which appear to mimic the Cherry MX switches, while reducing response time. This hopefully will allow for more responsive keys. I showed the keyboard to a couple of people and they found it hard to pick which keys were being used. This comes in at £149.99, which is an OK price. I think there are people out there that would miss things like macro keys and media keys. But I am loving the new look and like where Razer is going with their thinking.